Connatser Family Law announces the addition of Texas Super Lawyer Jana Wickham Paul to its team of award-winning family law attorneys. Connatser Family Law, PLLC, one of the region’s leading family law firms, announces the addition of Texas Super Lawyer Jana Wickham Paul to its team of award-winning attorneys. Connatser Family law, a 2018 U.S. News & World Report Best Law Firm, handles all aspects of family law under the leadership of managing member Aubrey Connatser, specializing in divorce, child custody matter, pre- and post-marital agreement, modification, and collaborative law matters. 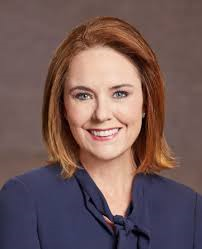 Board certified in family law by the Texas Board of Legal Specialization, Jana Wickham Paul is also recognized as a Best Lawyers in Dallas by D Magazine (2011-2013), one of the Best Women Lawyers in Dallas (2010) and one of the Best Lawyers in Dallas under 40 (2006) and noted on the lists for Texas Rising Stars (2004) and Texas Super Lawyers (2004-2018). Ms. Wickham Paul earned her law degree from Southern Methodist University School of Law, now S.M.U. Dedman School of Law. Initially, she practiced law in El Paso at El Paso Legal Assistance Society, mainly handling family law matters for indigent clients. She served as in-house counsel for Hunter Industries in San Diego, California. Then she moved back to Dallas in 1997 and served as in-house counsel at her family’s business. In 1999, she joined a well-known Dallas family law firm and then became a partner at her own firm. She is admitted to the College of the State Bar of Texas. She is a member of the Texas Academy of Family Law Specialists, the State Bar of Texas (Family Law Section), and the Dallas Bar Association (Family Law Section), where she served on the board as treasurer, secretary, vice chair, and, in 2009, as chair. She has served as co-chair of the Legal Lines Committee of the DBA. She is a fellow of the Dallas Bar Foundation and became a Fellow of the Texas Bar Foundation. She is past president and current member of Collaborative Law Dallas, a Collaborative Law practice group of Dallas family law attorneys. Outside of the practice of law, she is an active member of the Junior League of Dallas and the Dallas Museum of Art. Connatser Family Law is a North Texas firm specializing in family law matters, ranging from divorce, child custody matter, pre- and post-marital agreement, modification, and collaborative law matter. A U.S. News & World Report Best Law Firm, Connatser Family Law offers a team of deeply-experienced, award-winning attorneys, and is led by managing member and founder Aubrey Connatser. Ms. Connatser is a board-certified expert in family law with numerous awards and credentials, including: Top 100 Attorneys in Texas, Top 50 Women Attorneys in Texas, and one of the youngest Dallas family lawyers selected to Thomson Reuters Super Lawyers list. She has been chosen among the top 5% of all Texas attorneys for this honor in 2009 through 2011 and 2013-2015. She has been chosen for The Best Lawyers in America (Woodward White), the oldest and most prestigious legal review service, selected one of the Best Lawyers in Dallas by D Magazine. Connatser Family law under the leadership of Aubrey Connatser supports the Dallas Bar Association’s Dallas Volunteer Attorney Program and the Equal Access to Justice Campaign.